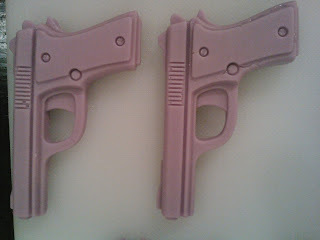 Mom With a Gun had a great post the other day about buying guns for your significant other. The consensus was to buy training time instead of buying a gun, which I whole-heartedly agree with. And then I started thinking about the people I know who offer gun-related services. This is by no means a comprehensive list. I'm giving myself a headache trying to remember everyone, so please feel free to add to the list if I forgot you or someone you think should be on the list. If I missed you, please be assured it was simply cranial flatulence on my part and wan't intended as a slight. 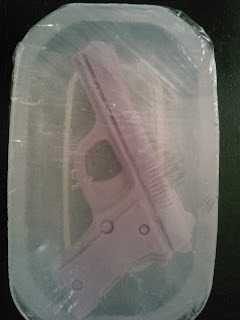 Gun-shaped soaps - glycerin-based soap with Aloe. Variety of colors; available in either cucumber-melon or peppermint scent. $1.50/each + S&H. Email thegundivas@hotmail.com to order. 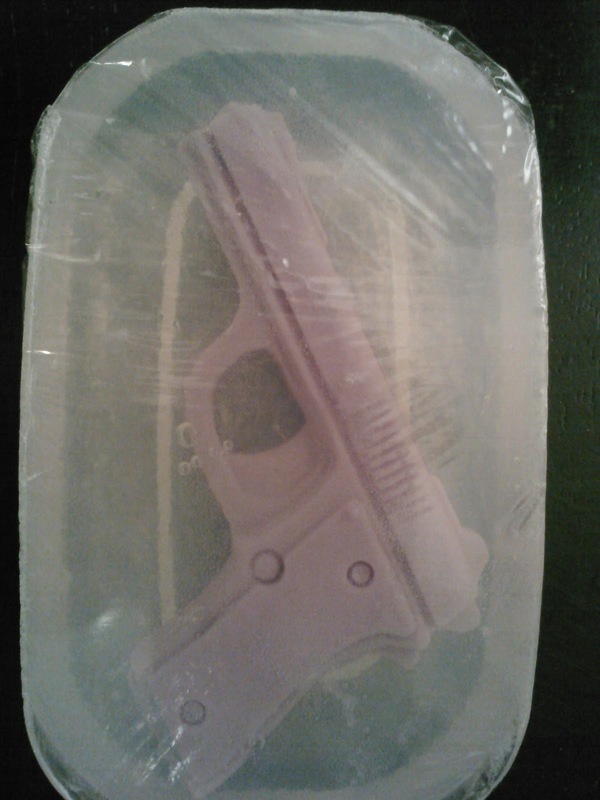 Bar soap with embedded gun - glycerin based soap with Aloe. Variety of colors; available in either cucumber-melon or peppermint scent. 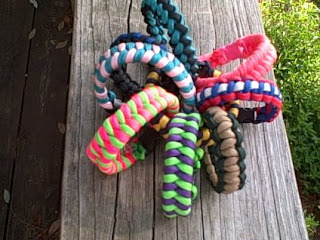 $3.00/each + S&H. Email thegundivas@hotmail.com to order. Paracord accessories - Southern Winds Solutions and The Asylum Creations offers bracelets, keyfobs and rifle slings. Mrs Mom has some ungodly number of colors to choose from. Email swequine@yahoo.com to order. In Colorado, Double Tap Shooting Academy offers a wide variety of shooting instruction. Mom With a Gun offers shooting and personal defense instruction. Sadly, I don't know where she's located, but I'm sure if you drop her an email, she'll be happy to talk with you. I've not met her in person, but I've followed her blog for a while and agree with her instruction philosophies. Edit: she's in Southern California. Lynne at Female and Armed offers instruction in Virginia. 2A Mama is working in the Dallas, Texas area. Shepherd K is going to be checking out the shop/range that she recently started working for. And, of course, A Girl is teaching in Virginia. 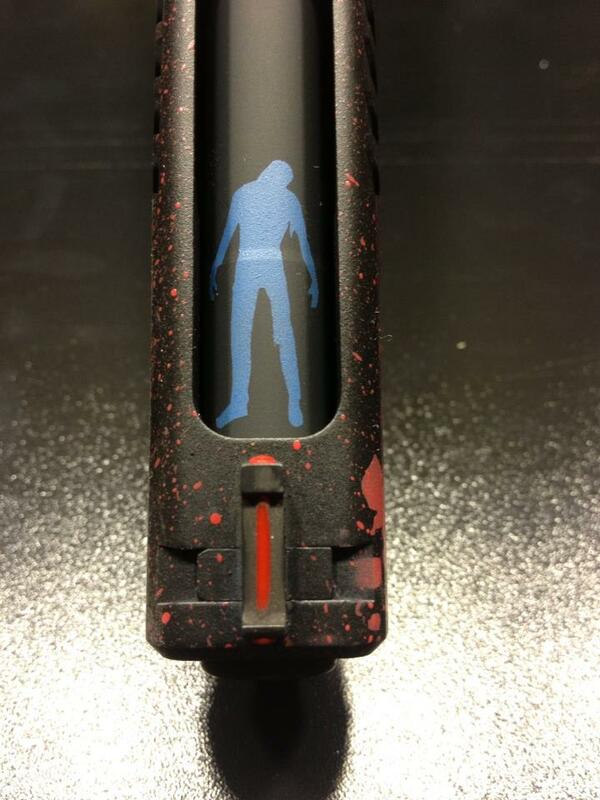 The guys at 13 Zulu make custom kydex holsters and do some absolutely amazeballs duracoating. If you can imagine it, they can duracoat it. Currently, I'm using a 13 Zulu holster and love it. This is actually my brother's gun. If you're not a fan of kydex holsters, Dragon Leatherworks does beautiful leather holsters. I was going to steal a picture to put up, but I couldn't decide on which to put up, so you'll just have to go take a look. JayWilsonbyDesign still has some GunDiva shirts for sale. $20 includes shipping. And just in case you want something that hasn't been covered here, GunGoddess probably has it. Great list!! Thanks for the mention. Thanks for the shout-out and the mention - I am honored to be included among such distinguished company! To answer the geography question, I'm in California, about midway between LA and San Francisco. Thanks, Tammy. I searched all over your blog and couldn't find it. I'll make the correction. I think these gun are for kids. Many bags thanks btw. Fairly cool post. It's really excellent and useful post.